ART-e-FACT is a startup by an Young Designer Srijita Das & Prolific artist Mandrita Das. We deal in Designer Fashion Products, exclusively handmade by Rural Artisans across India. We believe in India's artisanship and craftsmanship & love to promote them through our work. We hope that our products make you smile and fill your precious moments with joy and happiness with quality and uniqueness and with LOVE. 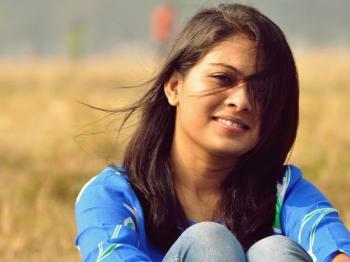 Srijita Das is a Fashion Designer from Kolkata and have started her own firm ART-e-FACT. The startup deals in Designer fashion products, which are exclusively handmade by rural artisans of India. We send our couriers through dtdc services. 2-7 working days within West Bengal & other metro cities in Kolkata 5-10 working days pan India. -> No return. No refund -> for damaged parcel and faulty production by the company, contact within 24 hours after receiving the product. We will refund after getting the parcel back> please courier or post it asap after informing us> we will pay you back the return charges too. Keep each and every item in an enclosed box or pack. Rub it with a cotton cloth after every use. Keep away from perfumes, chemicals, water. For brass item, use lemon or brasso polish if it gets black after a long time.